Guest post by James Bindseil, president and CEO, Globalscape. Health IT has reached a pivotal crossroad: On one end, consumers’ expectations for more timely care and instant access to health files and records continue to skyrocket; on the other, security and compliance risks are more complex and threatening than ever before. This leaves health providers in a precarious position: should they prioritize security and compliance, or productivity and care? In a perfect world, the answer would be all four. 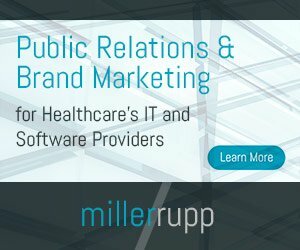 Unfortunately, today’s health IT landscape — which is going through a rapid and significant transformation to keep up with evolving compliance mandates, new demands around access to patient files, changing government policies, sophisticated security threats and new technologies — is far from perfect. One of the most pressing issues lies within the policies and technologies provided by today’s IT teams. In fact, in many instances, the policies and tools implemented by IT to keep patient data safe and secure often end up having the opposite effect: they make it incredibly difficult for providers to deliver fast and efficient care in a secure, compliant manner. For example, let’s imagine a day-in-the-life of a hospital care provider, who faces immense pressure to deliver top-notch care to as many people, and in as little time, as possible. On day one, an off-duty doctor is called at home to provide his take on the best care plan for a specific patient. How will he review the pertinent information while working remotely? In another scenario, the doctor is running from patient to patient, and is unable to take the necessary time to record his actions. Taking the work home on a USB drive seems like the best option. The next day, the hospital needs to quickly share files with the patients’ previous provider to care for an urgent medical issue.